PITOSCIA, Concetta "Connie" - Peacefully at the Silverthorn Care Community on Tuesday, July 10, 2018 in her 95th year. Beloved wife of the late Anthony (1974). Loving mother of Carmine (Lorrie) and Rosemary (Bruno) and Connieanne (Arma). SEPPALA, Elinor Dorothy (nee POLLEY) - We are sorry to announce the passing of Elinor on Tuesday, July 10, 2018 at the age of 91. A University of Toronto student, Elinor went on to enjoy a long career at CFRB Radio. It is with great sorrow that we announce the passing of Nancy on July 10, 2018 in her 77th year at Rouge Valley Hospital. 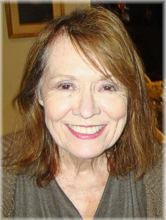 Nancy will be sadly missed and lovingly remembered by her devoted husband David, beloved family and many close friends. Nancy fought a year-long battle with lung cancer with the same strength, grace and dignity which was her style throughout her life. We have all lost a wonderful lady and heaven has gained an amazing angel. At Nancy's request, there will be no service. In lieu of flowers, donations can be made in Nancy's memory to an animal shelter of your choice. UNGER, Wanda (nee CHERVINSKI) - It is with great sadness that we announce Wanda Unger passed away on July 10, 2018 after a courageous battle with cancer. She will be deeply missed by her son Tyler and her granddaughter Piper. SCOTT, Shirley Evelyn - 84, of Toronto passed away peacefully on July 10, 2018 with family by her side. Shirley was born on July 8, 1934 in Toronto and married and raised three children. She worked and retired from North York General Hospital. 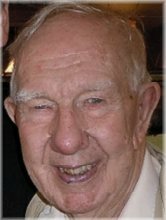 WOODS, Joseph Patrick - Joseph Patrick Woods died peacefully July 10, 2018 at Chester Village Long Term Care in Toronto, Ontario. Joe's long and full life started in Halifax in 1925. GRIFFIN, Leslie (Les) - Has it already been a month? Leslie Griffin died peacefully at home on July 10, 2018, at the age of 96 years. He has left behind a wife (Patricia), a former wife (Josephine), four children (Jennifer, Paul, Lesley and David), seven grandchildren (Michael, Ryan, Spencer, Chelsea, Reyna, Claudia and Ellison) and two great-grandchildren (Aidan and Brendan). It is with great sadness that we announce the passing of Elizabeth Audrey Schmeler in her 98th year at Nisbet Lodge, Toronto. 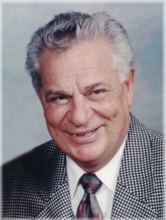 BERENDS, Marien Jo (Ron) - Gone home to be with his Lord on Monday, July 9, 2018 in his 75th year. Beloved husband of Ina for 45 years. Loved mother of Janet & Andrew Wildeboer, Bryce Berends and Terence Berends. Cherished Opa of Brianna (Josh), Willem (Michaela), Josiah, Jenna and Summer. Dear brother of Dicky & Pete (deceased) Jansen, Ben & Wies Berends, Henk (deceased) & Joanne Berends and Rita & Pete (deceased) deBoer. GERELUS, Alexander - Passed away peacefully on the morning of July 9, 2018. Born in the Rural Municipality of Shoal Lake, Manitoba on May 7, 1929. Leaving behind his beloved wife of 63 years of marriage, Sophia Harasym, his sons Daryl (Darlene), Blair and Bryan (Daria) and his grandchildren Brandon, Dillon, Sianna and Karsten. Alex will be greatly missed by his sister Mae Fischer. PELAIA, Maria Teresa - Passed away on Monday, July 9, 2018 at William Osler Health Centre, Etobicoke in her 91st year. Beloved wife of the late Antonio (1987). WONG, Yen Hange - Passed away peacefully on July 9, 2018 at the age of 85. Beloved wife of Alfred for 64 years. RAMSAY, Jack Connor - Passed away suddenly, as the result of a motor vehicle accident on Monday, July 9, 2018 at 18 years of age. Beloved and cherished son of Wendy. Adored grandson of Mary and late Donald. Loved nephew of Sarah (Alan), Donna (Ed), Barbara (Phil) and John (Bianca). AITKEN, Rita Noreen (nee BELL) - 1937 - 2018 Rita passed away peacefully, at home, on the fourth of July. Rita was born in 1937 in Regina and raised her children in Port Arthur, Regina, Esterhazy, Calgary, Edmonton, North and West Vancouver and Toronto. Her life stands as a good example of a strong Canadian whose effort and perseverance has generated success and happiness everywhere she went. COWAN, Iva Doreen (nee VAREY) - It is with great sadness that the family announces her passing on July 9, 2018 at the age of 90. She was the youngest of six children of Charles Wellington Varey and Mary Elizabeth McLennan. Steve, the beloved husband of Claudine (nee de Vietoris), passed away in Toronto. He left Hungary during the revolution of 1956 and after spending one week in Austria and four months in England, where he worked and tried to learn some English. O'BRECHT, Joanne - Loving wife to Glen and mother to Danielle and Jeffrey. Passed away peacefully at home on July 9, 2018. Loving grandmother to Sean, board member for Empowerment Council of CAMH and Gerstein Crisis Center. BEASANT, Alice Irene - At Sunnybrook Palliative Care Unit, Toronto on July 9, 2018. Born July 21, 1940 in Montreal, QC. Loving daughter of the late Laurence Rodney and Jean Beasant (nee Rankin). MUCHICHKA, William - Suddenly on Monday, July 9, 2018 at his home at age 74. Much loved husband of Tammy, father of Andrea (Joe) and their children Jake and Adam and father of Natalie (Kevin) and their children Ashley and Brianna.